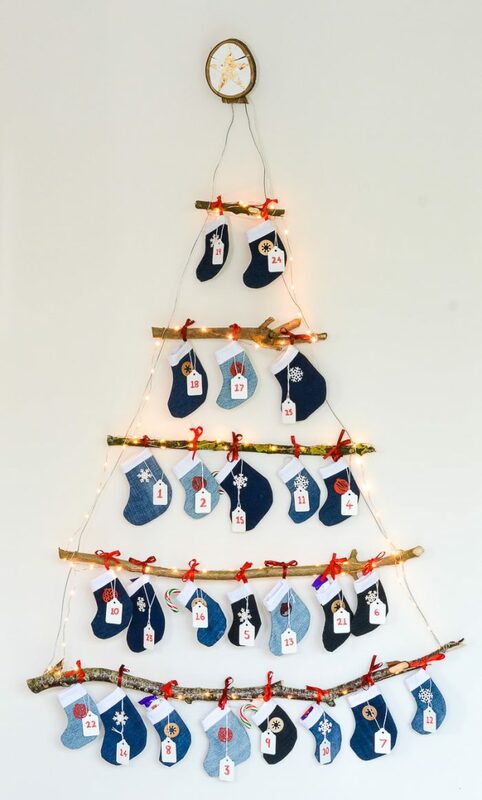 My passion for repurposing old ripped jeans just has to be directed towards Christmas decorations – in particular, a DIY mini stocking advent calendar. Perfect for mini gifts, chocolates, Christmas activities (read on for a free downloadable list of activities for your own advent calendar). 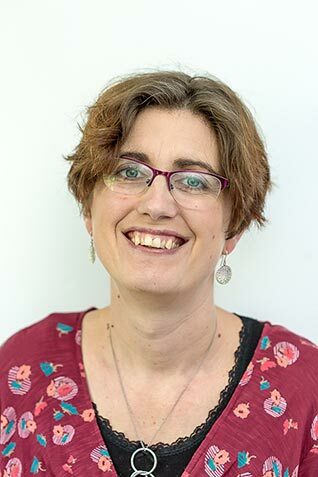 But be warned this project takes a little time – note the slightly late sharing of this project! However, it is perfect reusable advent calendar all ready for next year! 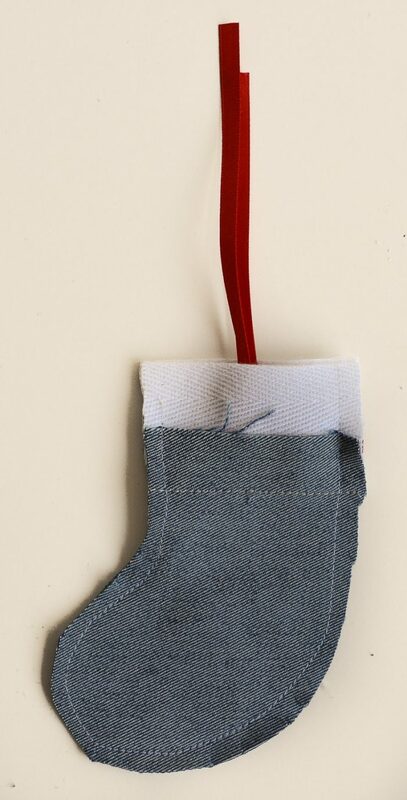 If you love repurposing of denim as much I check out my denim tree decorations tutorial. 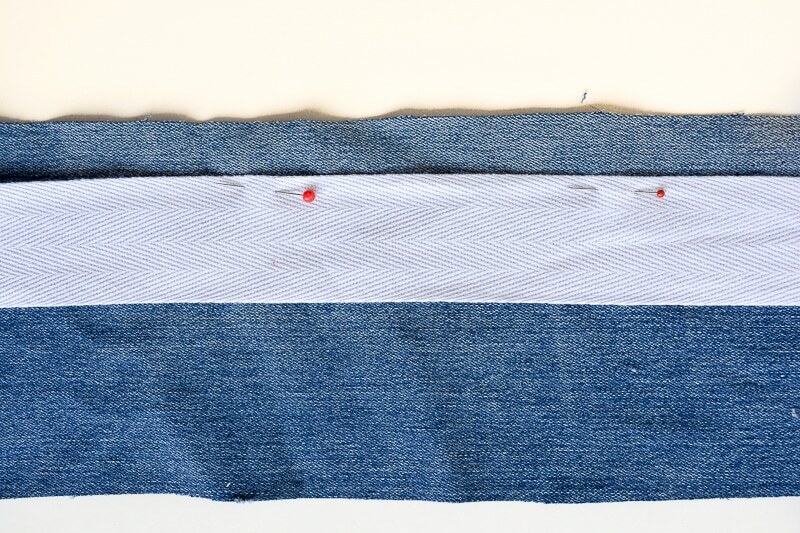 Start by cutting strips of denim, pinning the white webbing approximately 5/8″ (1 cm) down from the edge of the denim. Stitch, fold over and press. Cut a strip of ribbon 7″ long, fold in half and pin halfway down the white webbing. 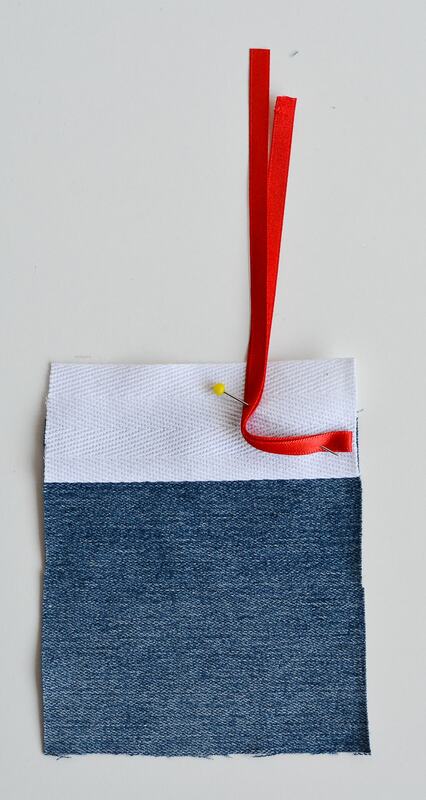 Place two pieces of denim right sides together, with red ribbon enclosed. 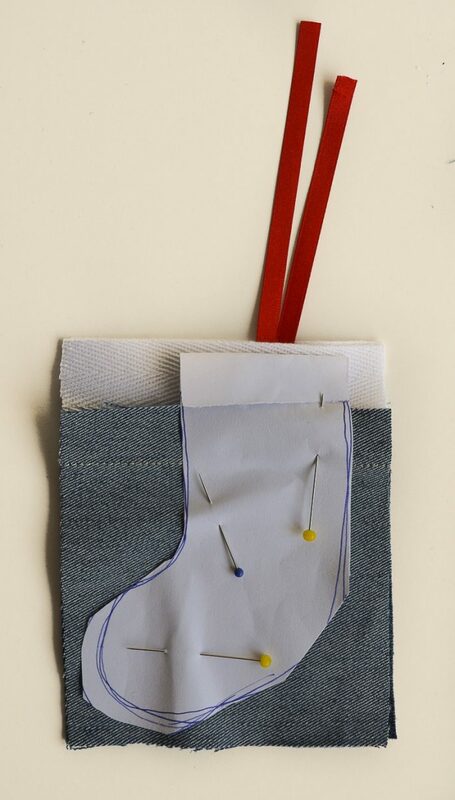 Place your cut out stocking template on top, pin in place. Stitch around your template. Cut your stocking out. Turn right side out and press. 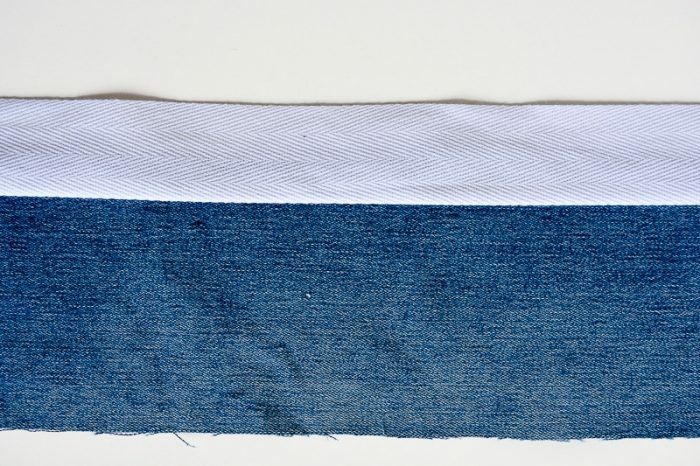 Fold the white webbing in half, hand stitch with small running stitches enclosing the raw edge of the top of the denim stocking between the webbing. 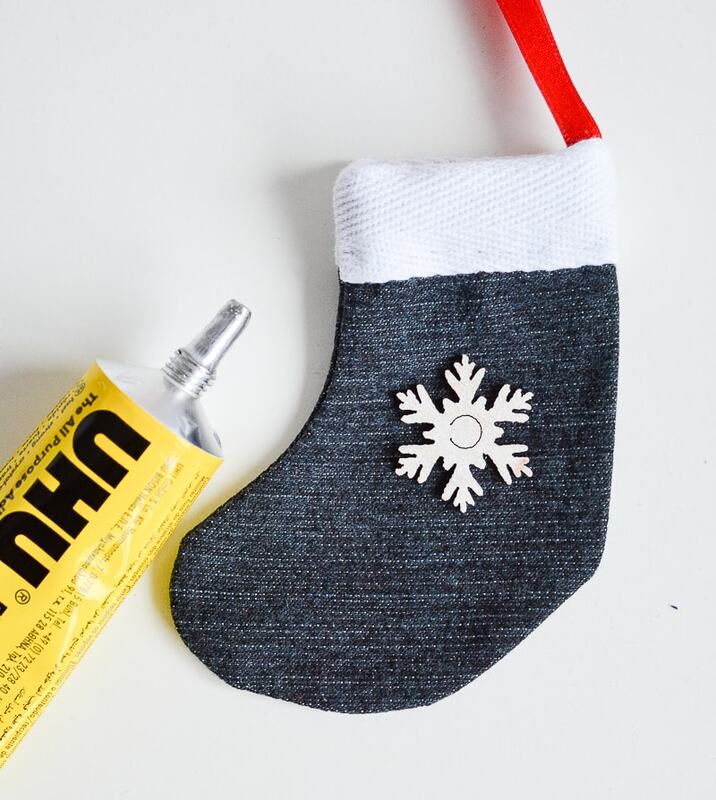 Glue a little wooden decoration onto the stocking, you may wish to spray paint them first. I have used UHU glue. 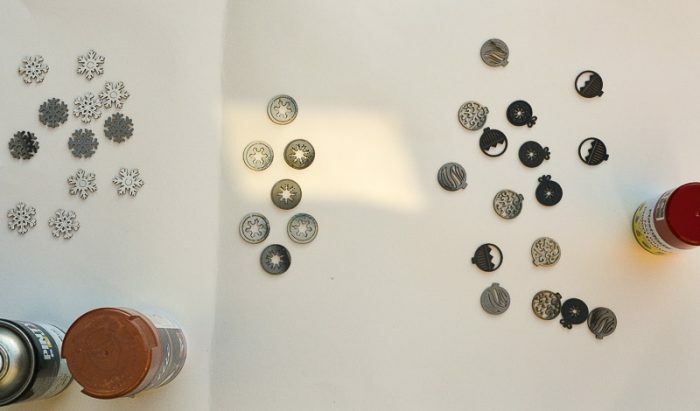 Having a wide variety of denim and shapes adds variety to the finished advent calendar. 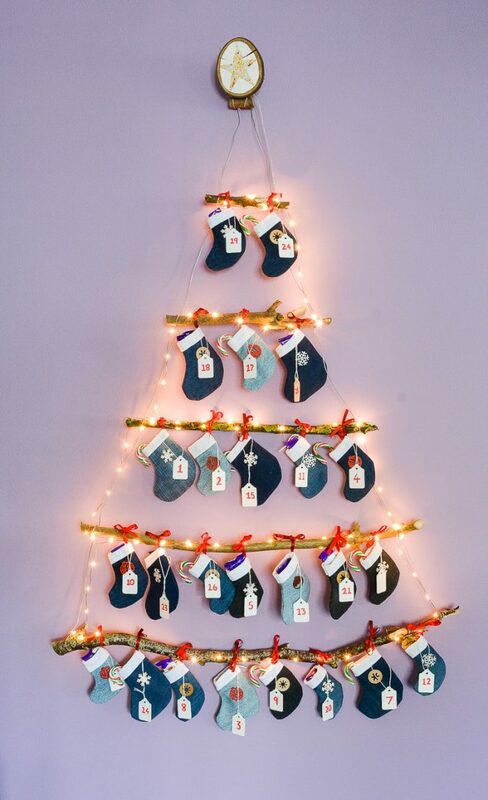 Create a branch Christmas tree – cut branches a variety of lengths and hang with wire to create a tree shape. Make the Christmas tree topping which hides the battery pack for the lights. 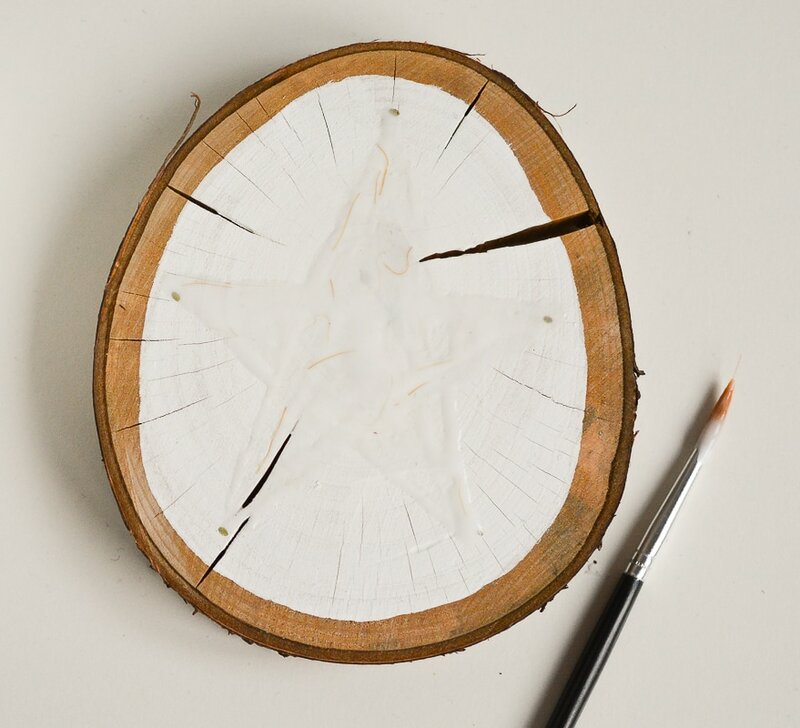 Paint a slice of wood with milk paint (see more details here). Once dry paint a star-shaped in PVA glue. 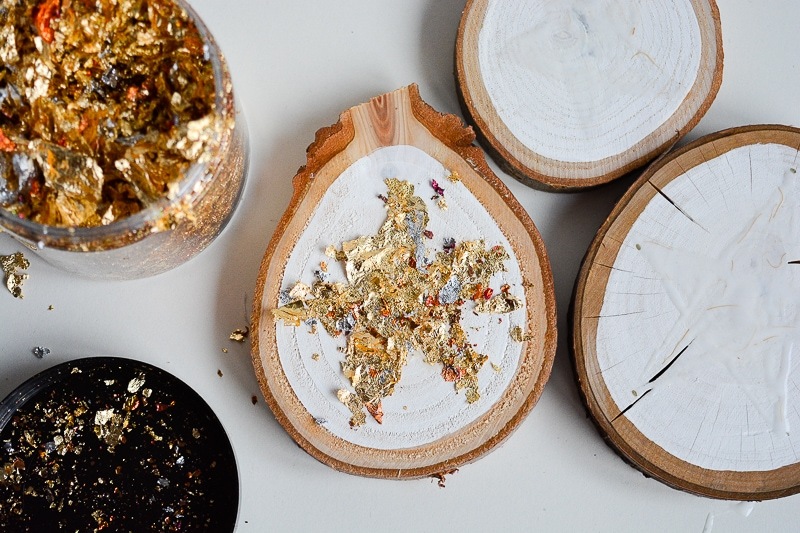 Leave a few minutes until tacky then add gold gild to the PVA, allow to fully dry. 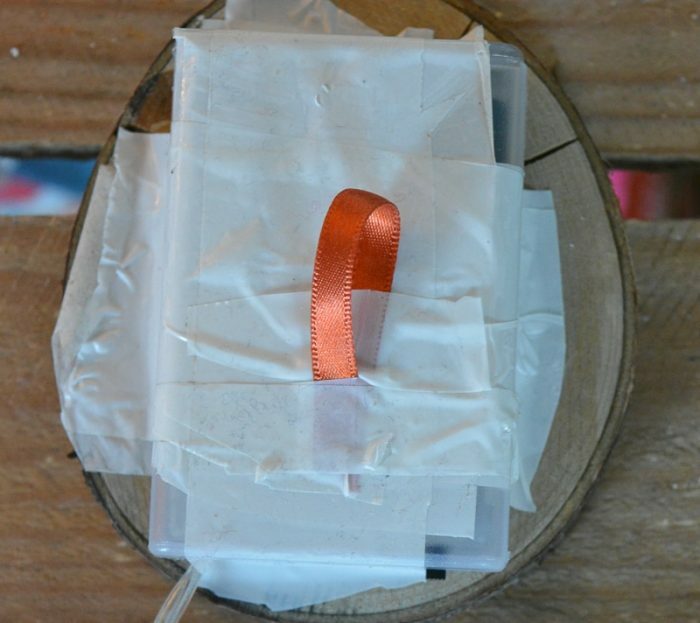 Attach the battery pack to the back of the wood slice, add a hanging ribbon to the battery pack. Your star is ready to hang at the top of your tree. String the lights across your branch tree. 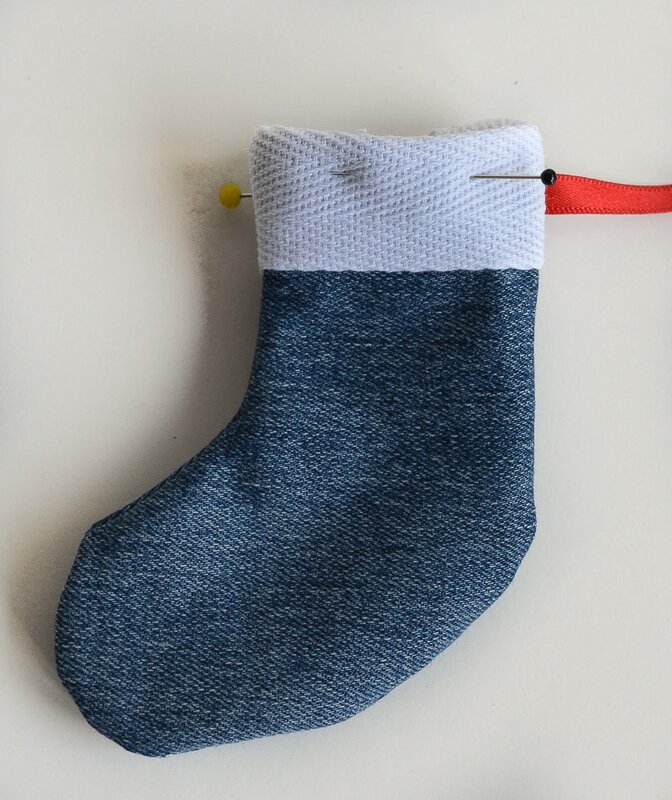 Using mini luggage labels for numbering hang the denim stockings onto the tree branches. I appreciate this mini stocking advent calendar may be a little late for this year so please do pin for next year!!! If you are looking for ideas for activities for children you can download a printable free list here. 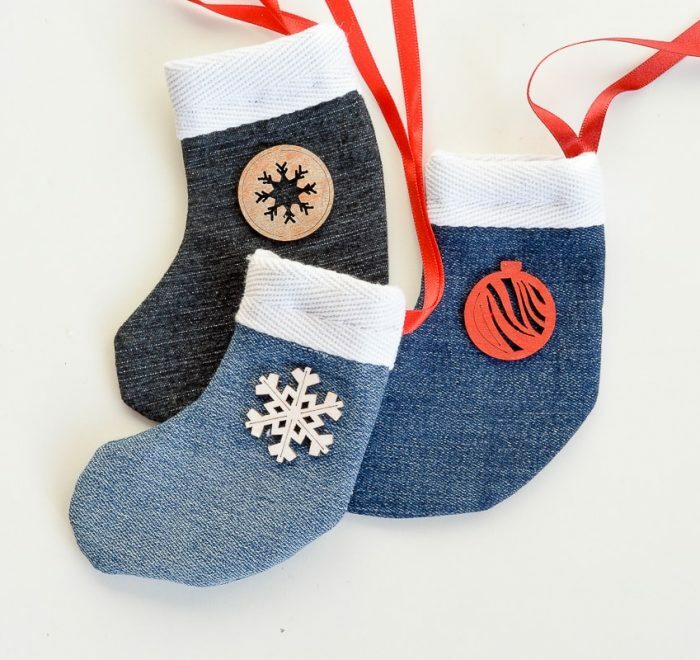 "DIY upcycled Christmas decorations, 5 Great ideas for Repurposing curtain rings"
Very cute and I love that it’s made from denim. Like the way, you display it too! Also, I note that like me you hang your advent calenders in a random order. Part of the fun is hunting for the right day.